I'm not going to lie, I love doing laundry. An empty hamper makes me feel like an absolute queen, I find folding cathartic, and the whole task gives me a sense of control and accomplishment. But you hate it and I totally get that! After all, the hamper seems to magically stay full, the folding part is boring and dreadful, and putting everything away borders on nightmare status. You'd rather be doing anything else. But unless you're outsourcing laundry, it's a necessary evil because smelly and dirty clothing just isn't cute. 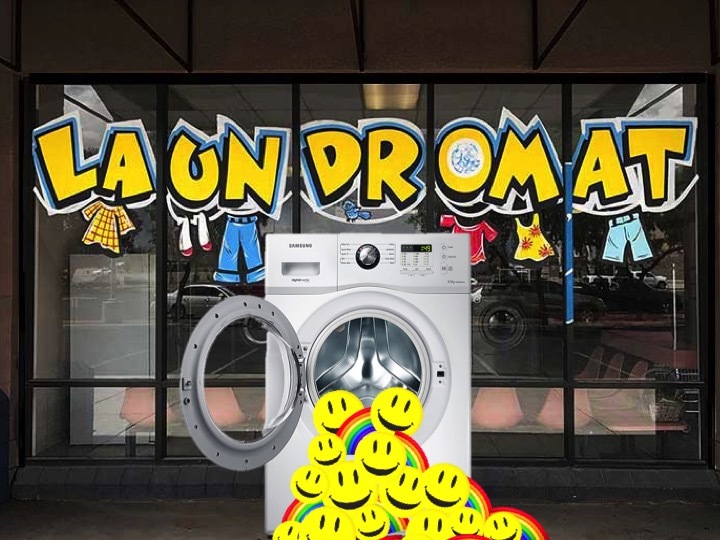 That being said, there are a few ways that we can turn the laundry frown upside-down. 1) Sort as you go-go. Dividing darks from lights as you throw your dirty clothing into the bin will reduce an entire step. The solution is a hamper with two sections and it's oh-so-sweet. 2) Treat stains as soon as you can. The longer a stain sits, the less likely it is to come out. So, if you can treat that bad boy the night it happens, great! Spray it, let it sit, and then give a scrub with cold water. Once the garment dries, toss it into the hamper so it goes into the next load. 3) Collect like-items during folding. A proven method to speed up the folding process, do one type item at a time. Grab all of the t-shirts and fold them (divvying up by family member as you go), then collect all of the underwear and sort those, move onto the socks, et cetera, et cetera. 4) Don't let your laundry enter the hamper if it's inside-out. Because guess what? You'll absolutely hate yourself when it's folding time and you gotta right-side-out lots of garments. Spread the word to your family members so they don't commit this laundry sin.